So I have a tour from Verona to Zaragoza actually.. Best opportunity for using the A8 in France..
And I am already in Spain. The ride along the coast in Italia, France was awesome. Unfortunately the Area with the mountains and many tunnels and seaside is too fast over. But I know it is because of the little scale.. At such things you can realise how small this 1:19 scale is. Is this route completely made by SCS or is there work from Promods in there? 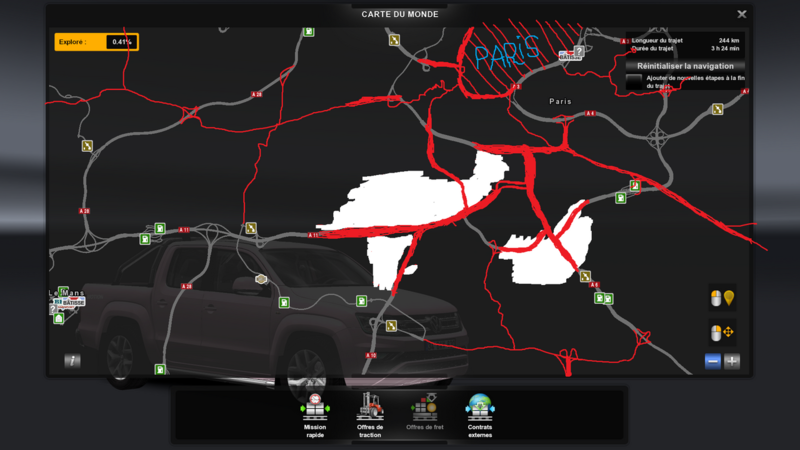 After, the problem of the A8 is for me, like the rest of France, unrealistic. 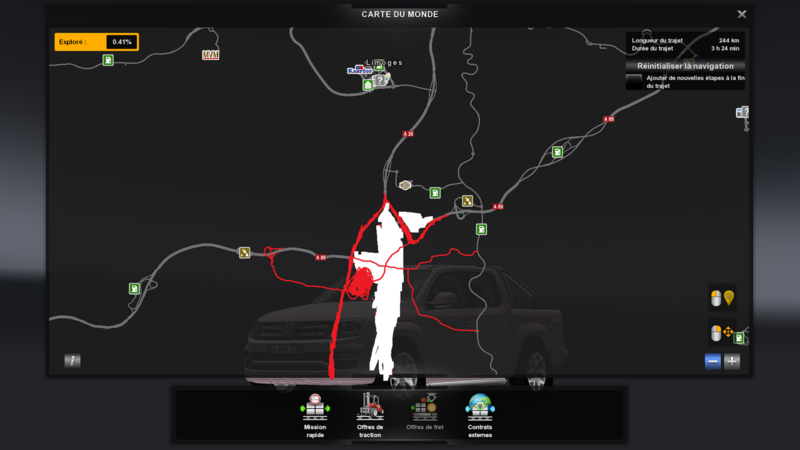 The road between Genoa and Nice is amazing, but the road between Nice and Marseille is pretty average. And I do not even mention the A9 which is much worse and unrealistic. Only the gas stations are well done, but the rest is bad for me. I mean, it's completely unrealistic to actually do Marseille - Montpellier with A7 and A9, completely unrealistic. Normally, you make Marseille - Montpellier directly by the A54 and a part of A9, the exchanger of Orange does not normally allow to make a Marseille - Montpellier by the A7 and the A9. 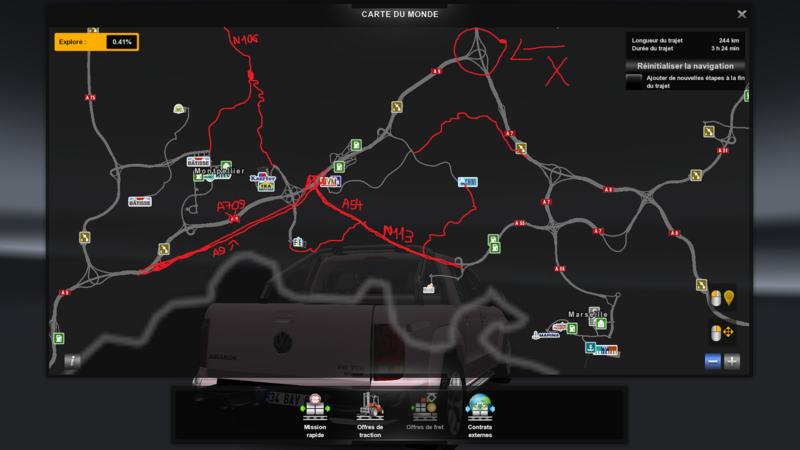 The A9 between Narbonne, Perpignan and the Spanish border, made by ProMods, is for me very realistic compared in SCS work. EdgeGladiator, maybe Scale.... has something to do with it. Looks like a nice plan, but I do have my doubts though on the Muhlhaus area. Hopefully the 1:19 scale doesn't trick you that much there. One thing is for sure, that area is in desperate need of rebuild, especially the junctions so nice to see these kind of rebuilding projects being planned! Nice to see some news for France development ! Last edited by Trucker2223 on 08 Feb 2019 18:28, edited 1 time in total. Thanks for your suggestions. I will keep Saverne and corresponding national roads in that area in mind. Nancy is too far for now but it will be a thing for the future. And a little road beetween Colmar and Freiburg im Breisgau. Not bad, EdgeGladiator. Thumbs up. In Paris, west side, is that Bd Périphérique or A86? The latter has stright height restictrions on some parts. Montpelier-Mariseille A54-N113-A55 route. I think your route has the wrong connection to A9. Area Ambrussum North is in game, right? A9/A54 should be north of it. Alternative small road, here. Would have to be compressed a LOT tho. If using IKEA Montpelier interchange. Yes, the map has more roads than ca be added. And improved. I would be interested on seeing your proposed routes on google maps. Nothing wrong with that, right moderators etc?